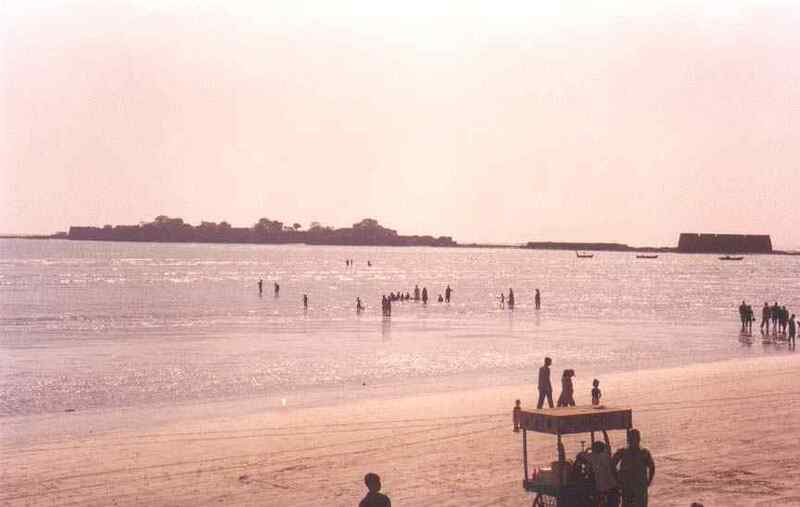 Alibaug Beach is the main beach of the town. Beautiful Sea, a Fort that gets surrounded by sea water, a few temples and a lot of fun. Alibag (Alibaug) is the ideal place for a one day return trip.There are some stunning beaches here along with forts and temples! The Kolaba/Kulaba fort lies 2 kms inside the sea. Kulaba fort gets surrounded by sea water at the time of tide. There are the Uma Maheshwar and Balaji temples in Alibaug too. 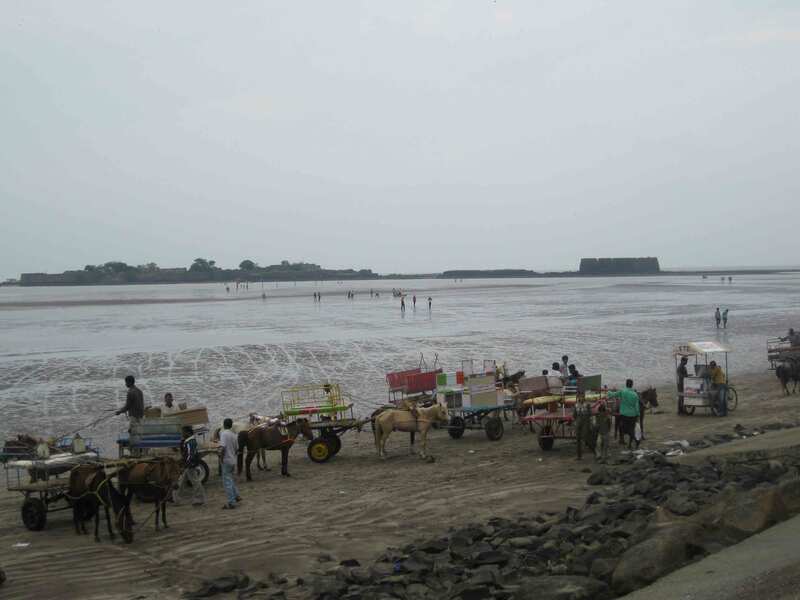 Alibaug was developed in 17th Century by Sarkhel Kanhoji Aangre the naval chief of King Shivaji’s Kingdom. Bene Israelite Ali was a rich man in the city and owned many plantations of mangoes, coconuts in his gardens. So the local people called the place Alicha bagh (Gardens of Ali) which became in due course, Alibag. The beachfront has all sorts of eatables like Bhel puri, patties, ice cream, tender coconut etc. You can walk on the smooth sand and can also have a ride on a Horse – cart, it turns out to be a romantic ride for kids and the elderly alike. You can build castles, play cricket, walk through the waves touching the shore, have a swim when its high tide and walk through to the fort when its low ebb. The beach is reasonably clean, free from noise and air pollution, which make it a favorite tourist site. The major attractions of the beach are Fresh air, Sandy beach, sight of the Kulaba Fort, Cypress and Coconut trees. You can enjoy Coconut water, Ice-cream, Bhel-puri, Vada-pav which is special dish of Alibag. Pollution free atmosphere is specialty of Alibaug. The beach resort where you can enjoy a vegetarian as well as non-vegetarian, Chinese and Indian cuisine.ne. Even most tourist are often visit to Alibaug beach but there is no pollution, this reason the beach is famous as good tourist spot in Alibaug. The best season to visit it is from October to May. Hotels are available to stay. Alibaug is 138 kms away from Pune and Alibaug town is just 108 kilometres from Mumbai.sea way is the Gateway-of-India (Mumbai) for Alibaug. To travel from Mumbai to Alibaug use Sion-Panvel Expressway to reach Panvel. From Panvel use Mumbai Goa highway and head towards Pen – Vadkhal – Poyand – Alibaug. To travel from Pune to Alibaug use Mumbai Pune Express Highway till Khopoli. From Khopoli head wowards Tambati – Ransai – Sapoli – Pen. From Pen reach Alibaug Beach via Vadkhal. You can go to Alibaug by S.T. bus from Mumbai. From Mumbai to Alibaug having daily 35-40 S.T. buses, also Borivali, Thane, Kalyan, Pune, Kolhapur, Miraj, Nashik having buses to alibag for journey. 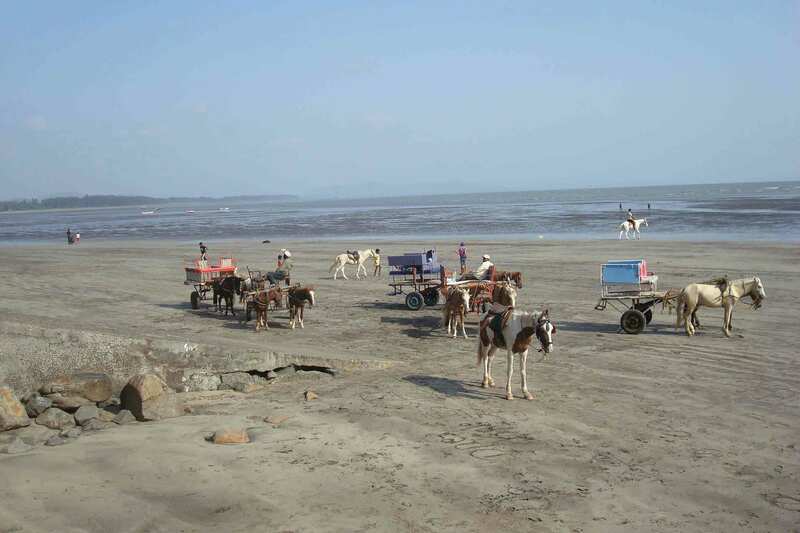 The functioning and facilities of Alibag S.T. Depot are best so you can enjoy the journey. From Mumbai to Alibaug, the most convenient and shortest mode of transportation is via ferry or catamaran from the Gateway of India. Mumbai to Alibaug Ferries are available throughout the year except during monsoon. The nearest jetty from Alibaug is Mandwa from where catamaran services are available to Mumbai. Rewas is another seaport close to Alibaug from where ferry services are available to Ferry Wharf. Mandwa and Rewas are connected to Alibaug through bus service. From Rewas, one can take rickshaw or state bus to Alibaug bus stop. From Mandwa, passengers can take chartered buses, which is around 45 minutes. The beach is at a walking distance from Alibaug bus stop. Alibaug is a small beach town and does not have a railway station of its own. The nearest rail station is at Pen, which is on Mumbai-Goa road. Through Pen, Alibaug is connected to Panvel and then to Mumbai and other cities on the Indian Railways network. Pen is easily accessible from the beach via roadways. Mumbai International Airport is the nearest airport to Alibaug Beach situated around 100 KM. From Chhatrapati Shivaji International Airport, Mumbai tourists can hire private cab to reach Alibaug Beach.